Microsoft has been aggressively pushing for people to upgrade to Windows 10, but what if you don't want to? 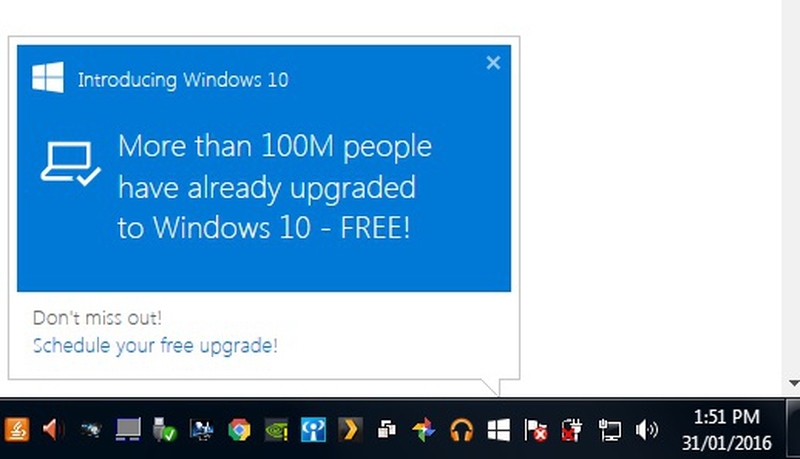 I will show you one way to remove the Windows 10 Upgrade popup. First we have to open the control panel, to do this click the start button, then the Control Panel button in the side menu. 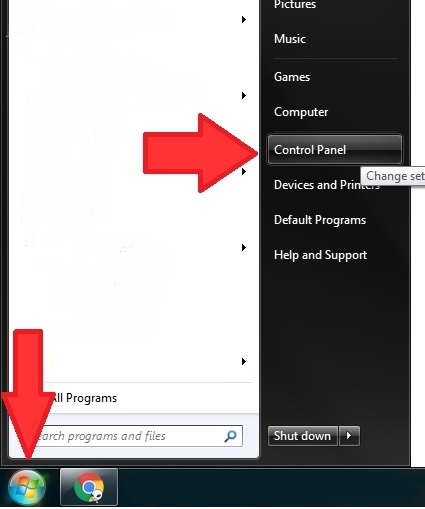 Next we need to open Programs and Features, to make things easier to find, ensure you have large icons on. You will now be presented with a screen that shows all your installed programs, but what we want is installed updated, in the side menu click View Installed Updates. You should now be presented with a screen that shows all the updates that are installed on your computer, every update is assigned a unique number that starts with the letters KB, the update we want to remove is KB3035583 which you can see in the screenshot below, once you have found this update in your list you can then click on it to select it then click the uninstall button on the toolbar. You will then be prompted to confirm you want to uninstall the update, click yes to confirm and the update should be removed along with all the Windows 10 Popups. Server responsed at: 04/18/2019 8:29 p.m.